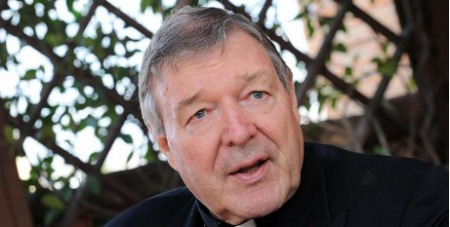 The Archbishop of Sydney, Anthony Fisher OP, has defended Cardinal George Pell over his handling of child sexual abuse in the Church, reports The Age. In a letter to schools and parishes in the Sydney Archdiocese, Archbishop Fisher rebuffed allegations that the Church used legal manoeuvres to protect itself from victim claims for compensation and applauded Cardinal Pell for his handling of the child sexual abuse scandal. A spokesperson for the Sydney Archdiocese confirmed Archbishop Fisher was referring to the Church's Towards Healing protocol and the Melbourne Response, initiated under Cardinal Pell's leadership. The Towards Healing process encouraged victims to go to the police but also contained provisions to relocate clergy who had been implicated in child sexual abuse to other positions within the Church. Under the Melbourne Response, a panel provided ex gratia compensation payments to victims, but once victims went to police they were no longer eligible for compensation. Yesterday, it emerged that Cardinal Pell visited Ballarat and a school at the centre of clergy abuse claims just weeks before the Royal Commission ini Institutional Responses to Child Sexua Abuse hearings began there. The March 28 visit to St Patrick's College coincided with a "short vacation to Australia" for Cardinal Pell, a former St Patrick's student, and involved talks of "an exciting new initiative" to promote excellence at the school, the school's magazine reported.